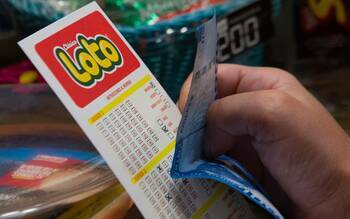 Chile Clasico Loto, known simply as “Loto” among Chileans, is a tri-weekly lottery whose jackpots start off at a guaranteed 250 million Chilean Pesos (€332,000) and grow exponentially to incredible, life-changing amounts. In this review, we’ll take a close look at the game, including its prize tiers and odds, and see how it ranks against the world’s best lotteries. The Clasico Loto was launched almost 30 years ago, with its first draw taking place on November 17, 1989. Over all these years, the game has been operated by Polla Chilena de Beneficencia, and its format has stay consistent. Perhaps its familiarity is one of the reasons that it’s been so immensely popular among Chilean nationals. Playing Chile Clasico Loto almost couldn’t be any easier: you choose six numbers from a range of 1 to 41, and if your selection matches all six numbers that are drawn, you win the jackpot! After the six main numbers are drawn there is also a “Wild Card” number, also known as the “Comodin,” that is drawn from the same drum. Although you don’t need this number to win the jackpot, it does determine who wins four of the secondary prizes. If for whatever reason you don’t feel like choosing your own numbers, you can opt for the AZR option, which will randomly select a set of numbers for you. This is similar to the “Quick Pick” feature common to many other lotteries. Clasico Loto’s simple game format translates to great jackpot and secondary odds. In fact, for a lottery that pays out the equivalent of millions of dollars or euros, Clasico Loto has some of the best odds in the world: 1 in 4,496,388. With odds this good, it’s a bit odd—pun fully intended there—that people don’t win the jackpot more often. After all, there are some other lotteries out there with odds almost twice as tough that rarely roll over because they have at least one winner almost every single draw. 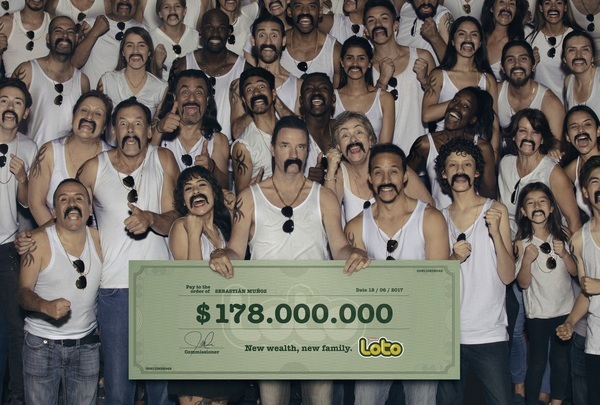 That curiosity aside, other lotteries with comparably sized jackpots include South Africa Powerball (1 in 24,435,180), Brazil Dupla Sena (1 in 15,890,700), Polish Lotto (1 in 13,983,816), Hungary Hatoslottó (1 in 8,145,060), and Austria Lotto (1 in 8,415,060). As you can see, Clasico Loto’s jackpot odds are truly exceptional. Also, it’s worth mentioning that the overall likelihood of winning a prize is just 1 in 8.9, which is solid as well. The Clasico Loto gives players numerous chances to win every week, as its draws take place on Tuesday, Thursday, and Sunday nights at 9 pm (CLST). The location of the draws is the Polla Chilena de Beneficencia headquarters in the beautiful city of Santiago. Prizes must be claimed within 90 days of the draw date. Although Clasico’s jackpots might not be the biggest in the world, they are still pretty freaking special, especially when you consider the excellent odds of winning one. And in Chile, these jackpots are worth billions of pesos, which says a lot right there. An interesting factoid is that the biggest prize in the game’s history was the result of an incredible 43 consecutive rollovers! The Clasico Loto awards all prizes as single lump-sum cash payments. Since the tax amount would be the same even if there was an annuity option, it makes little difference—as long as you can be responsible with your newfound fortune, of course. Chile’s tax laws on lotteries aren’t the worst, but they’re certainly not the greatest either. If you win the Clasico jackpot (or any other prize), you’ll need to pay a 17% tax. If you live in a country that also has a tax policy on lottery winnings, then you might be double-taxed. That’s why it’s always a good idea to check your local tax laws so that you don’t have to deal with any ugly surprises later on. While nothing is stopping you from buying a plane ticket to Chile and buying Clasico Loto tickets in person from a local lottery kiosk, it’s much easier to buy tickets online from a reputable lottery agent or lottery betting service. The best online lottery sites will buy official tickets for you, scan them into your player account, notify you if you’ve won anything, and even claim and automatically deposit your prizes for you. Yet another part of life that the Internet makes much simpler! Chile Clasico Loto – Is It Worth Playing? With three weekly draws, 8 prize tiers, and excellent odds for such a big national lottery, Chile Clasico Loto offers players many chances to win and many reasons to play. As a result, if you’re an online lotto tourist, make sure this game is high on your list. Very nice odds with this one! Amazing actually. Will try to play several time this month now. Thanks, LA!